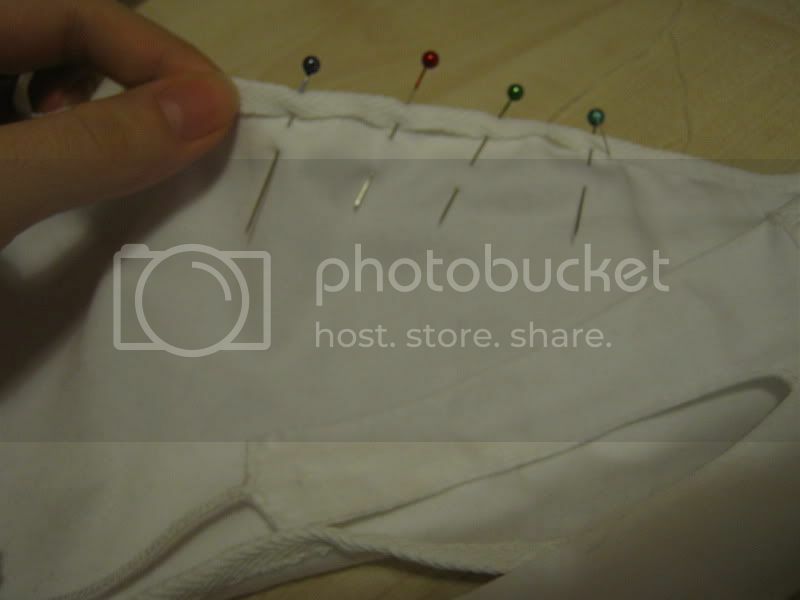 Apparently I am fixated on making myself a functional pair of short regency stays. I’m in the middle of a third (handsewn!) attempt right now (see attempt one, attempt two). For most costumers this process would be fairly simple but it just hasn’t been for me. My first pair gave me a nice enough shape but the centre front bones were pretty uncomfortable when lounging around on the grass while reenacting. The second pair, the daffodown dilly stays, had pretty much the same problem. The wooden busk, while shorter than the spring steel bones of my first attempt, was still ridiculously uncomfortable while sitting on the ground. I want to be able to MOVE in these things. I’m portraying a working class woman so I don’t believe I should have to sacrifice movement in order to wear a supportive garment. I’ve collected a (very) few images of women on campaign and they all show women bending and lifting in a way I wouldn’t be able to with a long (or even medium) length busk without some serious lack of comfort. So. As I think I’ve mentioned before I really don’t like the aesthetic of day caps in general. Especially for the 1812 period. I made a cap that I’ve posted about before but I’m not really satisfied with the way it looks. So I made another one, also from Fitting and Proper. I hated it too. Binding – isn’t it just thrilling?? I’m back to work on the Daffodown Dilly stays however I (read: my Dad) hadn’t finished the last minute busk I requested ( I don’t blame him!) so I probably won’t post the final entry for another couple of months. See part 1 and part 2 of the Daffodown Dilly Stays. I’ve made some progress on the checked linen dress. I sewed ALL WEEKEND. I’m getting kind of tired of this project though. I just want it to be finished. I thought I’d post a few in progress pictures and hopefully get some opinions at the end of this entry. 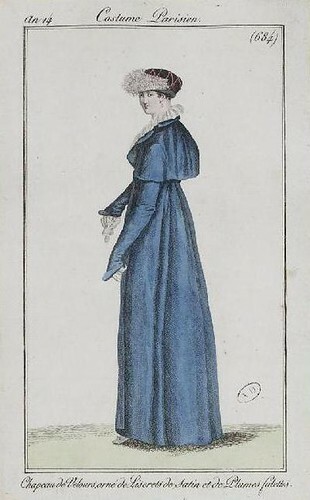 So I have plans for one last regency period dress before I go. I bought a few metres cream linen with a black check fabric awhile ago.